Fermoy Red Cross meet weekly, providing training to all members involved. If you would like to attend an evening session, you are welcome and if you wish to continue further you may become a member of the Red Cross and avail of further training. 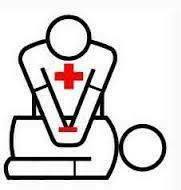 The Irish Red Cross provides a first aid and ambulance service for public and private events. They are on call 24hours a day, 365 days a year to the statutory ambulance service in the event of a Major Incident or large public events.